CHICAGO -- A Minnesota couple are facing felony charges for making up a story about being robbed at knifepoint early Thursday in the Loop. 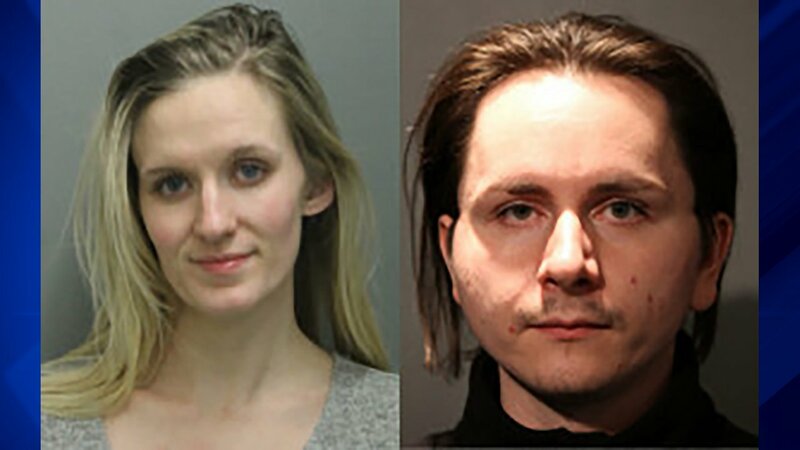 Katie Mager and Ryan Reiersgaard, both 27, have each been charged with a felony count of disorderly conduct for making a false report of an offense, according to a statement from Chicago Police. Mager lives in Apple Valley, Minnesota, while Reiersgaard lives in Burnsville, Minnesota, both suburbs of Minneapolis. They were charged after they "voluntarily admitted to fabricating a robbery and falsifying a police report," police said. The couple initially told investigators that they were using their GPS about 1:50 a.m. in the 300 block of North Columbus when it routed them to Lower Wacker Drive, where three people approached and robbed them, police said. Police later determined that the incident never occurred, and they were taken into custody. The pair claimed that their supposedly stolen property included a wedding ring valued at $12,000, a suitcase purse worth $3,000, a MacBook Air laptop valued at $2,000, a $300 suitcase and an iPad mini worth $150, police said. Mager and Reiersgaard were expected to appear in bond court on Sunday, according to the Cook County Sheriff's Office.